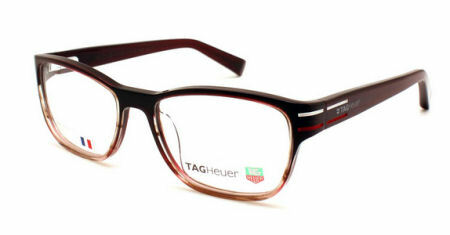 TAG Heuer Avant-Garde Eyewear dedicated to modern life. TAG Heuer, the world famous watchmakers since 1860, is an aspirational brand with a strong and clear DNA: sporty and achieving spirit, prestige and performance, innovating and pioneering design. Created in 2002, the TAG Heuer Avant-Garde Eyewear collection has been inspired by this unique mix of values. TAG Heuer prescription glasses and sunglasses are 100% made in France with high-tech and noble materials shared with aerospace and haute horlogerie such as beta titanium, carbon fibers and diamonds. The ultimate combination of lightweight and strength, of comfort and elegance. TAG Heuer Avant-Garde Eyewear proposes different sunglasses dedicated to urban and bold characters. The collection is thought for a wide range of activities from water sports to high-mountain sports, from golf to moto racing, its first love, with polarized or photochromic sun lenses. Thanks to high qualitative lenses surfaces treated with an innovative hydrophobic, oleophobic and anti-dust coating or also a night vision driving technology, the brand is in the eyewear victory lane. Please note these eyeglasses are provided with Demo Lenses in order to demonstrate the final appearance of your frames. Please visit your local Optometrist or Optician to replace with optical quality lenses. 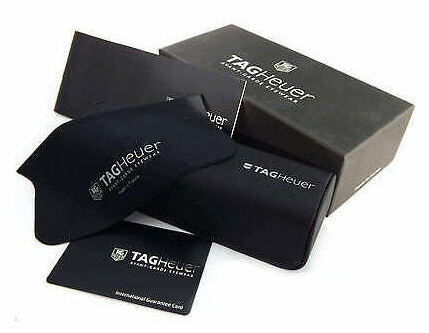 100% Authentic Tag Heuer Made in France!